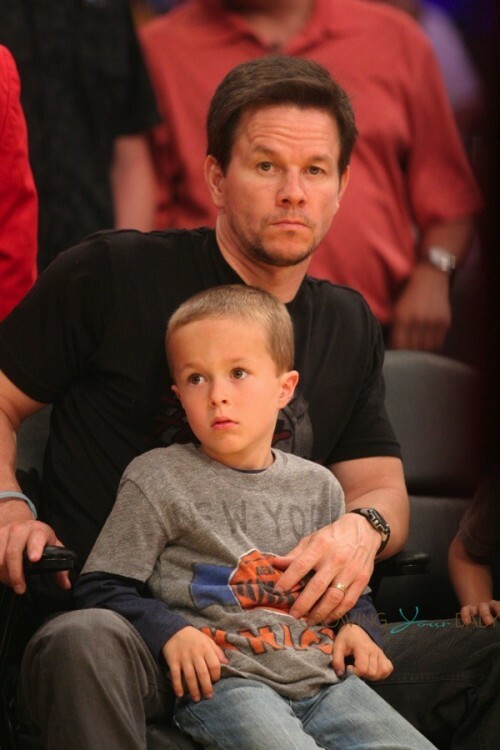 It was a boys night out for Mark Wahlberg and his sons Brendan, 5 and Michael, 7 on Tuesday night (March 25th). 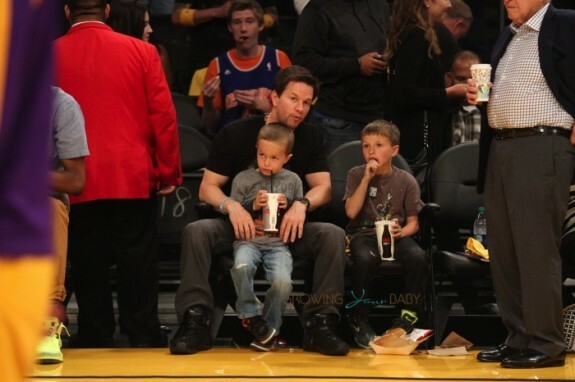 The trio was photographed munching on snacks as they enjoyed the Lakers Game court side in Los Angeles. Even though Brendan has his own seat he chose to sit on his dad’s lap while watching the action. The actor looked to be back to his buff self after losing 60lbs for a role recently. Mark told People.com he dropped down from 197lbs to 137lbs for the film The Gambler, where he plays a literature professor with a gambling problem. In June fans can catch Mark on the big screen in Transformers: Age Of Extinction. The actor took over the lead role from Shia LeBeuf and promises this installment of the franchise will be completely different experience from the previous Transformers films. In addition, the busy dad of 4 acts as producer for the family reality show Wahlburgers, Stealing Cars and the new Entourage film.